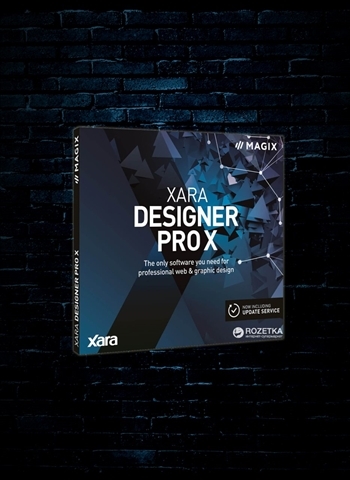 For when the whole is more than the sum of its parts: Xara Designer Pro X is the ideal design solution created specifically for the unique requirements of ambitious and professional users. This multiple award-winning software seamlessly combines all of the high-performance features required for advanced design in one clearly laid-out program interface creating an optimum workflow for quick results. Get started with a template or an empty page and create high-quality designs for websites, flyers, brochures and presentations. Edit photos and pixel graphics or easily create vector drawings. There's no limit to the creative possibilities. With more than 3,000 graphic elements, over 200 design templates, 2 GB webspace and your own domain, Xara Designer Pro X has everything you need for your projects. Operating Systems: Windows 7, Windows 8, Windows 10. After purchase you will receive an email with instructions on how to download your new software.